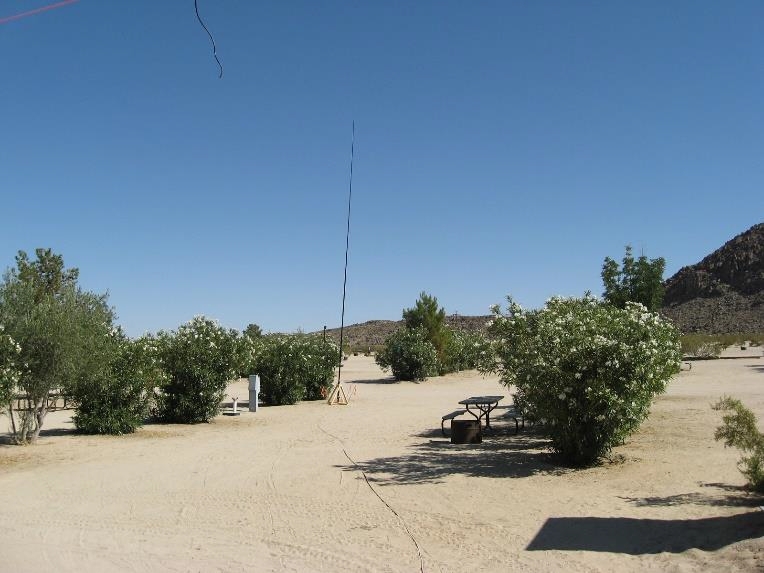 View of the antennas in the back. 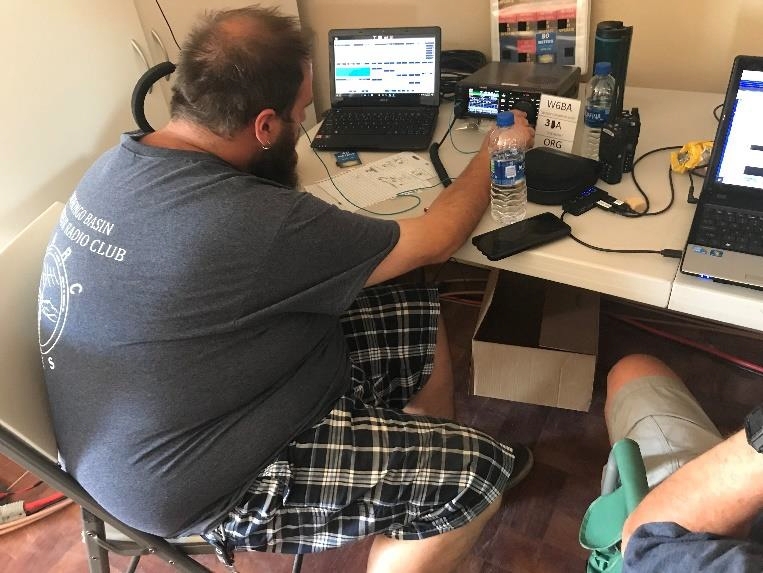 Discussing the situation and making QSOs. 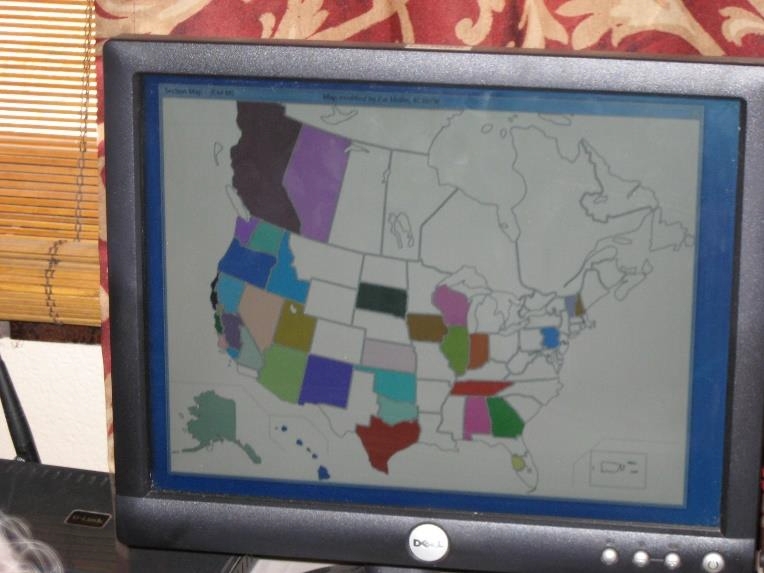 Regions contacted shown on the screen. 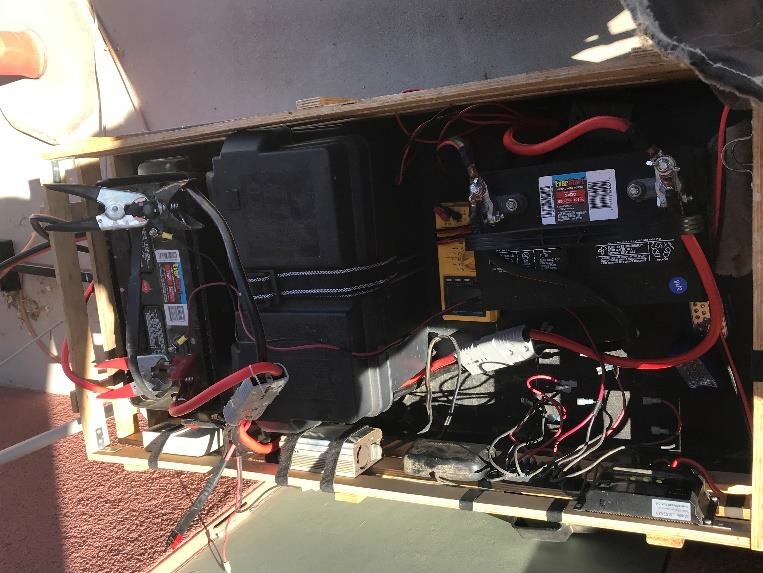 The Field Day Event was entirely powered by solar panels and batteries. 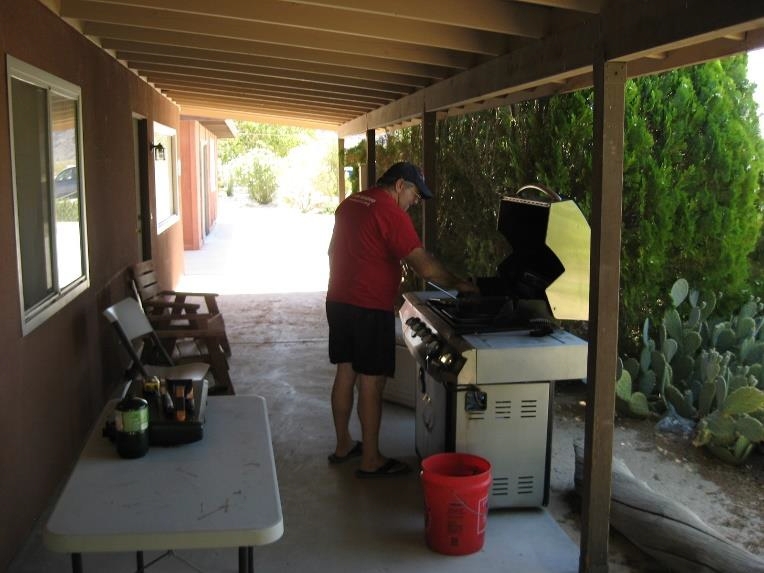 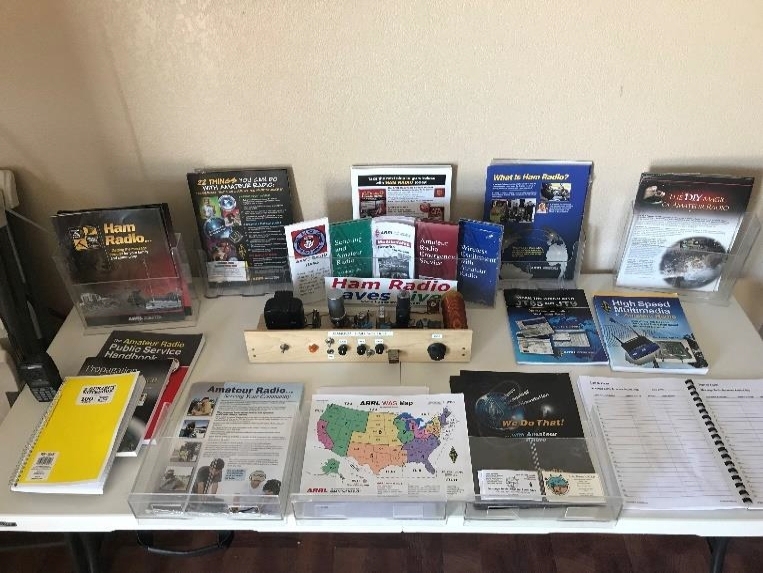 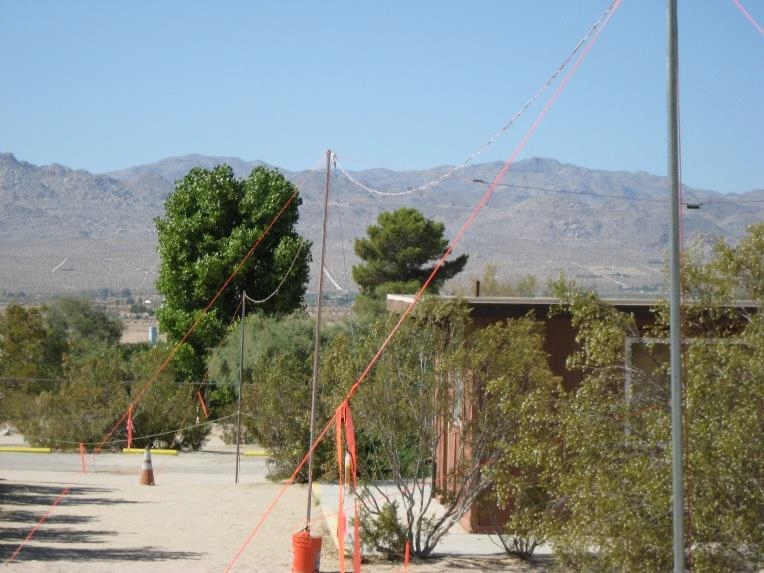 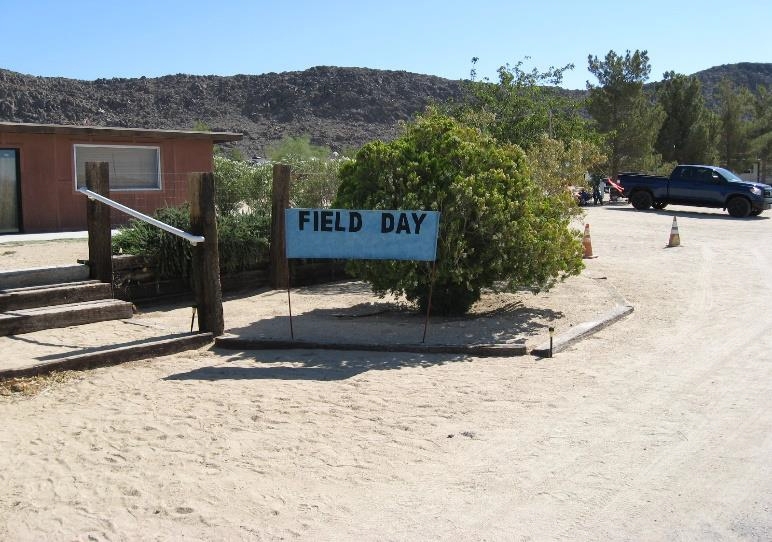 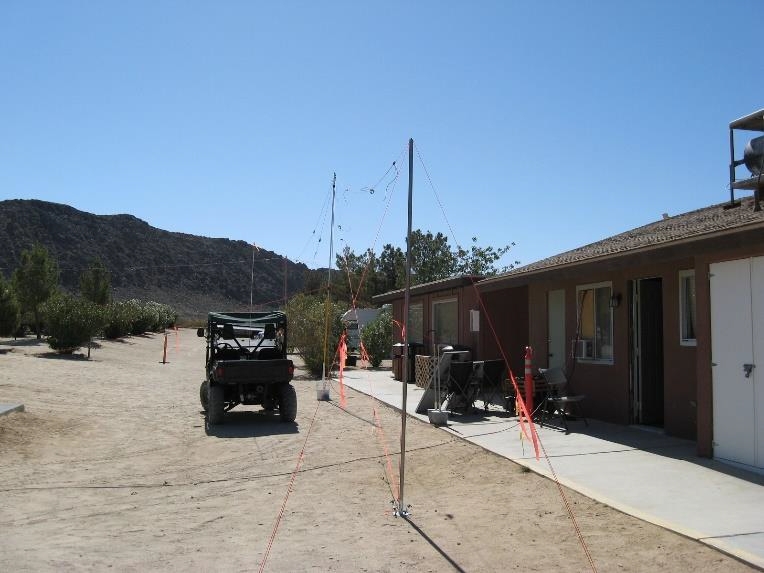 Stuart Primack's (KM6IAT) business Joshua Tree Lake hosted the Field Day Event. 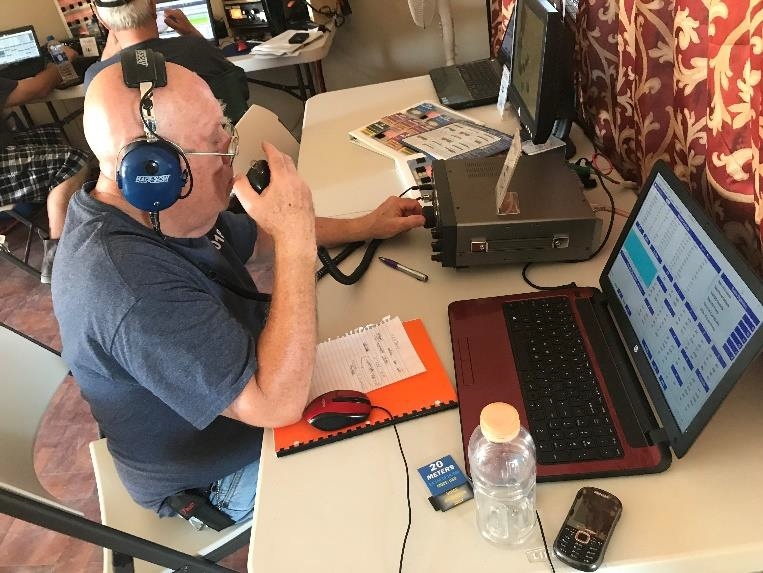 The club president Andy Frees (NS6V) makes a contact. 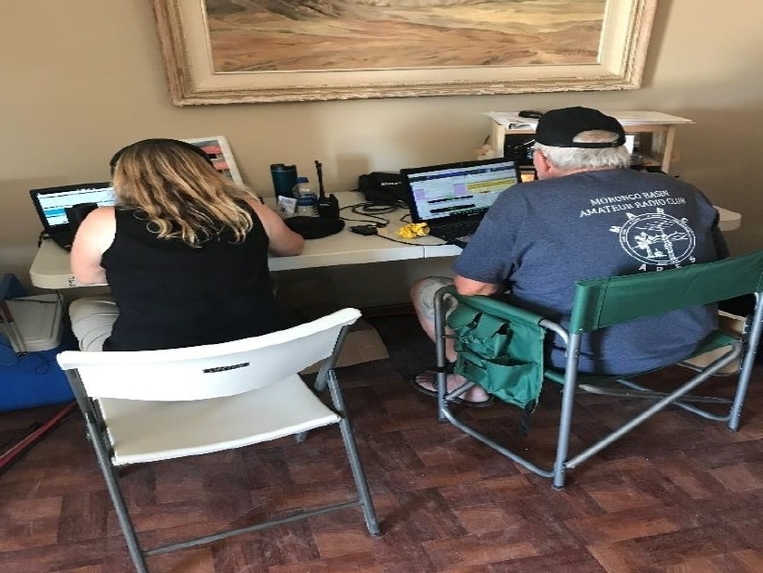 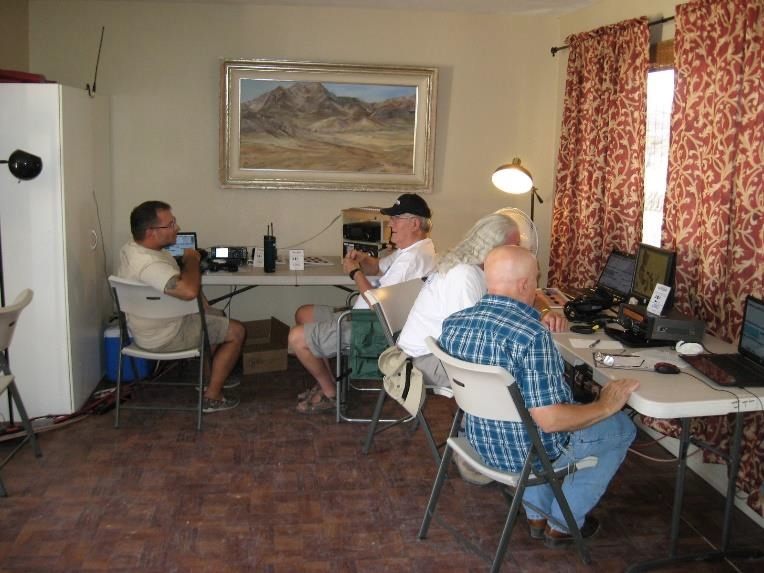 Judy Cloutier (KK6NWG) and Ken Hendrickson (W6BZY) make contacts on Single Sideband and FT8.